As with much of the coastal market, sales are relatively flat year over year with the exception of single family homes which are up 7.95%. 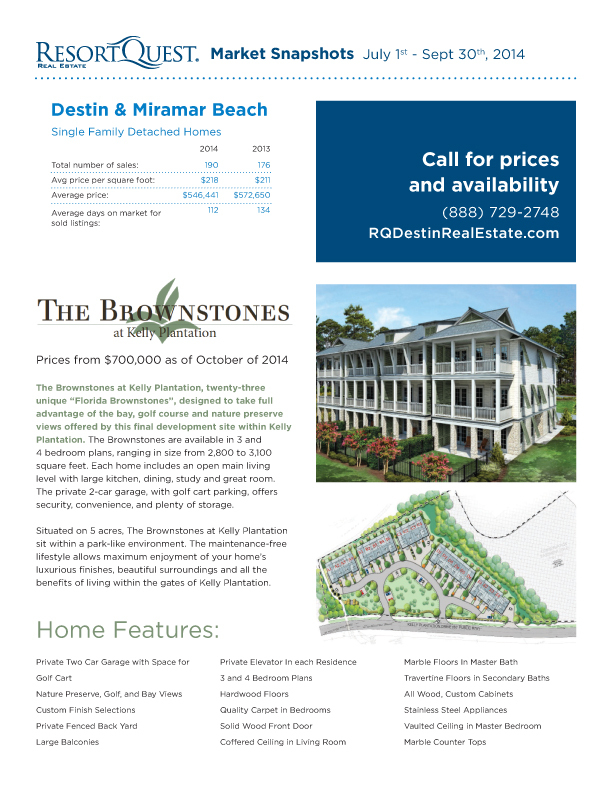 A new development inside Kelly Plantation offers the look of Florida Brownstones plus access to the unique amenities of this premier Destin neighborhood. 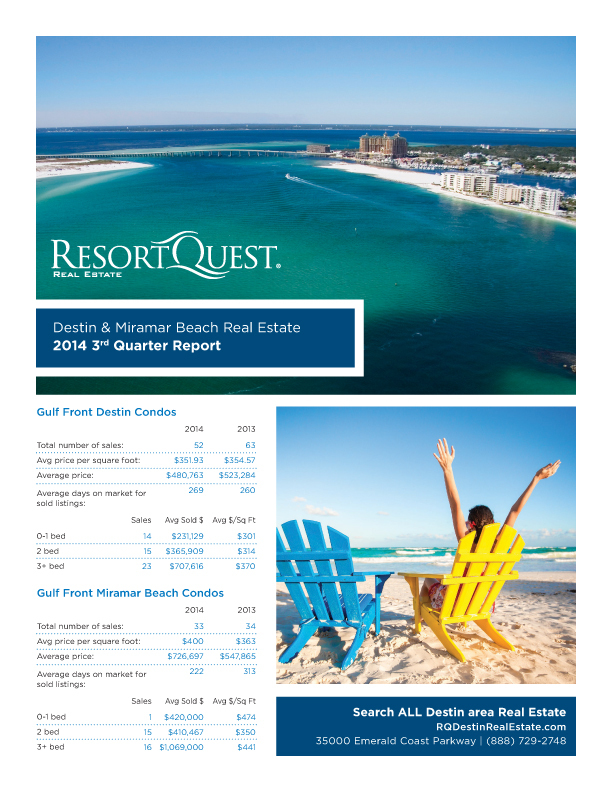 Read on to learn more about the current real estate market in Destin and Miramar Beach.